Amaira Skincare was formed 4 years ago due to lack of quality and trustworthy products on the market place. 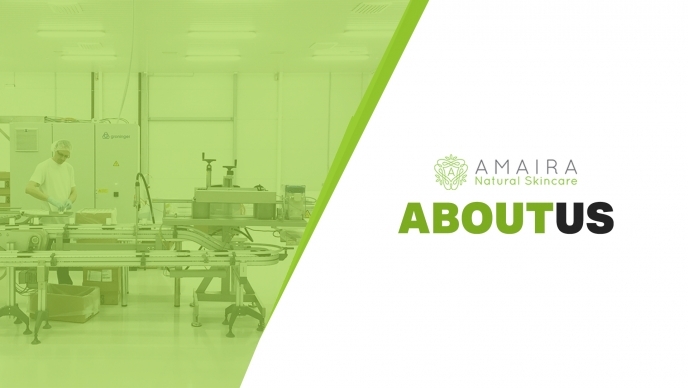 Amaira’s founders were working in the skin care industry and noticed that consumers were looking for a high end, discreet company that was making natural, high quality products that were also trustworthy and had their customers best interests at heart. It didn’t seem to exist, so the company was born. Based out of Orange County California, with a company in the UK and Australia as well, the company sells to over 75 countries worldwide. With our vision and goals in place, it wasn’t long before we were the number #1 brand in the world for skincare brands focused on intimate areas. Predominantly we sell via online marketplaces but are looking to expand that to retails stores and beauty salons across the world. Our team has worked, developed and formulated some of the most famous and best-selling products in the world for many brands that you know and love. Our desire to create a brand specifically in the intimate category that focuses on high quality, amazing results and a trustworthy company can be seen by the 1000’s of happy customer reviews left all around the world in regard to our products and our company. We are constantly taking on customer feedback and improving our company so that it can best serve you, the customer and so that we can reach our vision of being the most trusted brand for skin care in the intimate areas sector. How can you get more info? We hope that by reading through our site, our social media channels and third party posts, you can find out all of the information you need to about our products and our company. If however, you still have questions, please do not hesitate to reach out to us via email. Our customer service team work hard to answer any possible questions you may have and always happy to help.